(CNS): With a string of convictions for burglary, Andy Myles (25) was sentenced to seven years in jail on Friday following his conviction last week for breaking into the home of an elderly couple in the Governor’s Harbour area in December last year. Justice Charles Quin imposed the hefty sentence on Myles in view of what he described as an appalling record, with four previous convictions for burglary. Although the defendant was not armed when he broke into the house in Magellan Quay, the judge said he terrified the elderly female resident when he and his accomplice woke her in the middle of the night demanding that she open her safe. Myles had been apprehended by police minutes after the offence when they fished him out of the canal where he had fallen during the chase. The judge commended the police for their speed of thought and action in the case, as the officers on routine patrolin the area had spotted two men acting suspiciously just as they received the burglary report. Justice Quin, who presided over Myles’s judge alone trial, said that he did not harm his victim during the break-in but it took place in the middle of the night when the victim was home alone and asleep in bed, and was a cold, calculated crime. “The intruders awakened the lady of the house in whatshe described as terrifying circumstances,” the judge said in his sentencing ruling. “The court must punish this offender with an appropriate term of imprisonment.” Justice Quin said he was also mindful of the increase in burglaries of both residential and commercial premises and hoped that the sentence would act as a deterrent. The local judge referred to comments made by the British judge, Lord Bingham, when he said there were some burglars who from an early age behaved as predators who return to their trade as soon as they are released from prison. Myles had already been sentenced to five years in September 2006 for two aggravated burglaries. But on release from prison, it seems, he was back committing offences and was convicted earlier this year for two other burglary offences also committed in 2010, including the break-in at the Elmslie Church hall in George Town and a restaurant on Sheddon Road. Myles’ partner in crime in this offence escaped police on the night in question and has never been charged for the offence, leaving him to be tried and convicted alone. 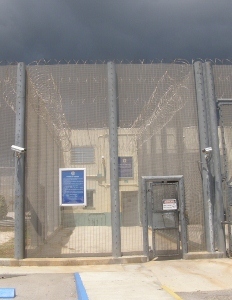 (CNS): With Cayman’s per-capita prisoner population one of the highest in the world, government officials say they are committed to addressing the problems in the prison system and related services and have brought in help from Canada. 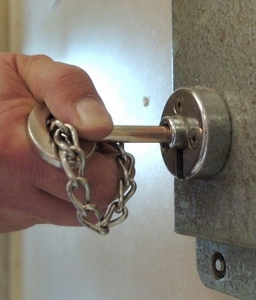 According to government, the goal is to reduce the high rate of reoffending and the ‘revolving-door’ effect that is common for many offenders and focus on rehabilitation. The annual prison budget is now $14 million — some four per cent of government’s operational expenditure. The examination of the system is being led by the Portfolio of Internal and External Affairs in partnership with the Institute of Public Administration of Canada, as well as local private and public sector stakeholders. “Nothing is off-limits,” said Deputy Chief Officer Kathryn Dinspel-Powell, who is coordinating the project. “Prison management was reviewed five years ago with renewed focus on rehabilitation and recidivism,” she said but added there remained a need for broader assessment of rehabilitation, incorporating related agencies. The assistance of Deputy Chief Judge Allan Lefever, of the Provincial Court of Alberta, and Assistant Deputy Minister JoAnn Miller-Reid, of Ontario’s Youth Justice Services Division from IPAC has been enlisted to deliver an Implementation Plan. If the specific recommendations for improvement are accepted, the goal will be to enable government to budget appropriately, achieve maximum value for money and enhance inter-agency collaboration and asset-sharing. This is intended to produce better outcomes for criminal offenders and the community as a whole. Reducing recidivism is also one of the four objectives of the Crime Reduction Strategy recently launched by the Governor-in-Cabinet. The CRS also focuses on early intervention, crime prevention and situational prevention, as well as reducing overlaps and duplication of efforts. Deputy Chief Officer Eric Bush said this collaborative approach was necessary to “rebuild the road-map towards inmate rehabilitation”. The IPAC consultants have already held individual meetings with several of the stakeholder agencies and should complete their review by mid-December. The Implementation Plan should be received during January 2012. (CNS): Corruption continues to plague many countries around the world, Transparency International said last week as it published its 2011 Corruption Perceptions Index. The report shows governments are failing to protect citizens from corruption, be it abuse of public resources, bribery or secretive decision-making. The index scores 183 countries from 0 (highly corrupt) to 10 (very clean), based on perceived levels of public sector corruption. It uses data from 17 surveys that look at factors such as enforcement of anti-corruption laws, access to information and conflictsof interest. Two thirds of ranked countries scored less than 5. In the Caribbean Barbados scored 7.8, compared to 3.3 for Jamaica. Transparency International warned that protests around the world, often fuelled by corruption and economic instability, clearly showed that citizens feel their leaders and public institutions are neither transparent nor accountable enough. 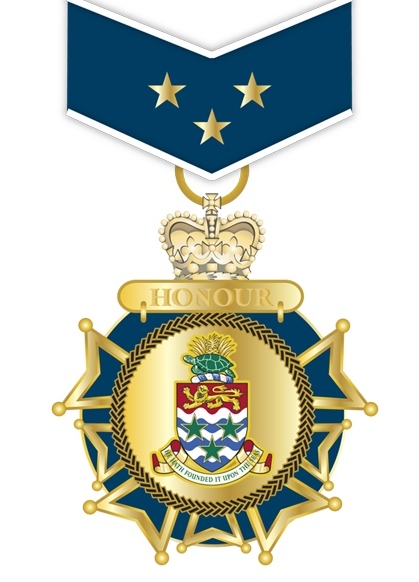 (CNS): The nomination deadline for the Order of the Cayman Islands National Honours and Awards 2012 has been extended to Friday, 9 December, officials have stated. The awards were created by the premier and the first ever recipients of the local honours were awarded their gongs on the National Heroes Day in January this year. Officials said that nominations for January 2012 can be made for the Medal of Honour, the Medal of Merit and the Long Service Award in writing, to the Government Administration Building or via email. Nominators must provide a summary of the nominee’s service to the community and a persuasive account of the outstanding, innovative or self-sacrificing services and achievements of the nominee. According to the law which was passed in June 2010 governing these local awards, the premier selects the members of the National Honours and Awards committee but can override the decisions made by it and confer honours himself. He can also remove any honours conferred should he see fit. Send nominations by e-mail to patricia.ulett@gov.ky or fax to 947-5712 or deliver to the Government Administration Building in an envelope clearly marked “Order of the Cayman Islands – Nomination”. For any further information call 244-2420. 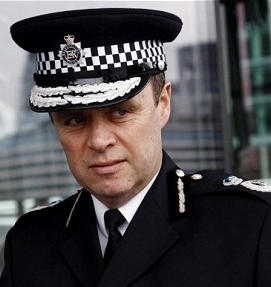 (Telegraph): John Yates, the former assistant commissioner of the Metropolitan Police, has been appointed by Bahrain to oversee reform of its police force after an independent report found it responsible for human rights abuses. Yates has been asked to overhaul the controversial service with John Timoney, a former head of Miami police, to ensure its procedures meet international human rights standards. The former assistant commissioner resigned in July over accusations surrounding his handling of the phone hacking affair and his ties with Neil Wallis, the former senior executive at the News of the World who later worked for the police force. An independent report last week found that Bahrain's security forces used excessive force, torture and summary justice to crush a popular protest movement that paralysed the Gulf state earlier this year. (CNS): Police investigation into the abuse of children and other vulnerable victims is to be enhanced with the help of a specialist forensic suite. The funding for the facility is coming from Hedge Funds Care Cayman as part of their annual grant to agencies dealing with child abuse. In partnership with the Health Services Authority, the Royal Cayman Islands Police Service will establish the suite away from the police stations where it can handle the delicate needs of victims and witnesses in a safe environment while gathering evidence for prosecution. "It’s a major step toward enhancing services and safeguarding children in our community,” Police Commissioner David Baines said. “By working together and sharing knowledge and skills, we can continue to make inroads in combating child abuse and neglect,” he added. The state-of-the-art interviewing suite will provide a safe and supportive environment during the investigation process. The officers working there will undergo sophisticated training in child protection interviews, while healthcare providers will be able to strengthen support services in the care and treatment of victims during the investigation process. The interviewing suite will be set up independently. In addition to the new forensic facility, Hedge Funds Care already provides a grant to the HSA to employ a part-time child psychologist to work with abused and neglected children. 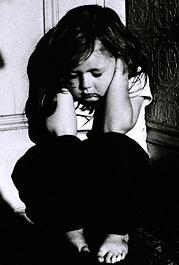 Hedge Funds Care is an international non-profit group supported largely by the hedge fund industry which raises funds for agencies that work to prevent and treat child abuse. Since Cayman joined the program in 2005, it has distributed more than $1.3 million to agencies and organizations here. This latest grant was announced at the annual Hedge Funds Care benefit dinner last month. (CNS): The minister with responsibility for youth painted a gloomy picutre for the next generation at a special workshop last week. With climate change and chronic unemplyment a part of their future, students learned that they faced intense global challenges growing up and heading off to the workforce. Mark Scotland told the young students that the current multiple global crises would fall disproportionality on their generation and they could no longer afford to make poor choices as they may not get a second chance. But amidst the doom and gloom they also faced a future of fantastic technological advances, he said. While the National Youth Policy came into force earlier this year after almost a decade in the making, the reality of its implementation took place this week at the Marriott Beach Resort, when public school students participated in a workshop on leadership, produced by the Youth Services Unit and National Youth Commission. The workshop, Choose to be a Positive Trendsetter, was the first in a series of similar events designed to get students thinking about what life choices they were making and the path that those choices would lead them on, officials revealed. In an opening speech at the event, Youth Minister Mark Scotland warned the young people that they were growing up in a world facing multiple crises – climate change, chronic unemployment, over population and dwindling resources. “It’s unfortunate that the adverse effects of these issues will fall disproportionally on you, the next generation. As such, just chancing it will simply not cut it,” he said. He toldthe students that in the past if young people made a wrong choice in life they would invariably get a second chance, but this was not necessarily the case any longer. “If you make the wrong choice once, unfortunately, you may end up losing your life or go to prison early on, so the choices you make nowadays have less chance to be corrected. It’s about making the right choice and sticking to that choice,” Scotland said, adding that there was a flip side to the gloomy outlook. 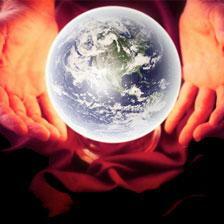 “You are enjoying the fruits of fantastic technological advances and you will have access to extraordinary new careers. People are open to new ideas as society embraces the young like never before,” he said. The challenges facing young people were also balanced with opportunities, however the caveat was ensuring that the youth had a road map of where they wanted to go in life, and then sticking to that plan. Speaking about the importance of leadership within the community, Scotland said that even if the young people did not aspire to being a politician or a CEO one day, just being a social or community leader was equally important. Leading was not about telling people what to do, it was about serving others.